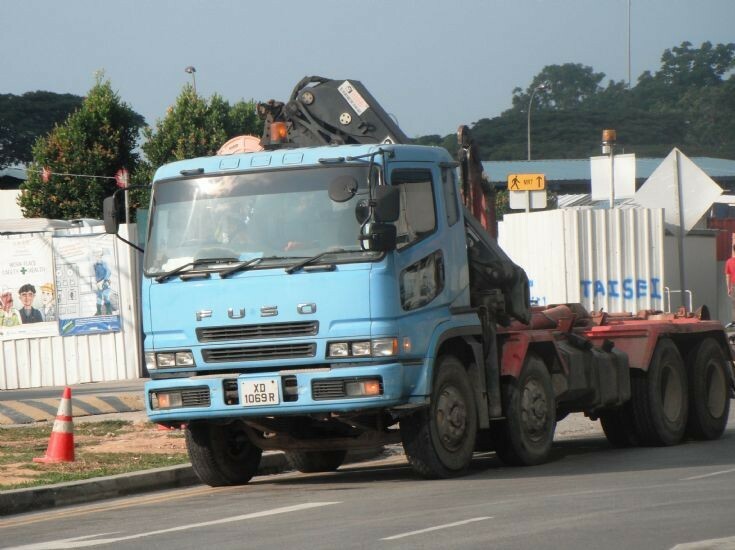 Parking at the roadside off Marina Bay in Singapore, this 4-axle hook lift truck of Mitsubishi Fuso Super Great FS519 series which comes with a Hiab hoisting crane is spotted here without its disposal tipper bin. It is awaiting for its disposal tipper bin to be uplifted after it has been loaded with construction waste materials. Photo taken in Aug 2011.